NON-TURBO Engine only. Air Intake Filter:A washable and reusable high-flow performance cone air filter (Blue). Other:Mass Air Flow Sensor Adapter will be included for vehicle which is required. Reusable filter provide a more effective filtration and let more air flow in. Chrysler Concorde, 300M & LHS all models with 2.7L, 3.2L, 3.3L & 3.5L V6 Engine. Dodge Intrepid/Eagle Vision all models with 2.7L, 3.2L, 3.3L & 3.5L V6 Engine. 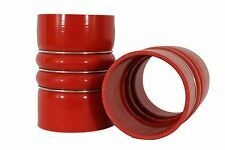 Air Intake Filter:A washable and reusable high-flow performance cone air filter (Red). 1995-1998 Eagle Talon 2.0L. Performance Cold Air Intake Induction System Filter. Improves Throttle Responses Throughout RPM Bands While Maximizing Airflow Induction Into Engine. Notes : Cold Air Intake May Require Slight Modifications To Plastic Liners For Rerouting Of Filter To Bumper Sections. Chrysler Concorde, 300M & LHS all models with 2.7L, 3.2L, 3.3L & 3.5L V6 Engine ! 93, 94, 95, 96, 97, 98, 99, 00, 01, 02, 03 and 04. Dodge Intrepid/Eagle Vision all models with 2.7L, 3.2L, 3.3L & 3.5L V6 Engine. 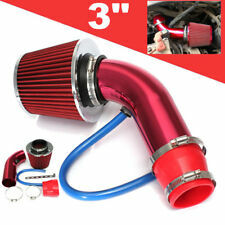 New High-Flow Cold Air Intake Kit for 2x 3" 6061-T6 Light Weight Premium Anodized Aluminum Intake Pipes. Mass Air Flow Sensor Adapter will be included for vehicle that are required. (Vehicle year and model compatibility listed above). Chrysler Concorde, 300M & LHS all models with 2.7L, 3.2L, 3.3L & 3.5L V6 Engine. Dodge Intrepid/Eagle Vision all models with 2.7L, 3.2L, 3.3L & 3.5L V6 Engine. 1x 3" 6061-T6 Light Weight Premium Anodized Aluminum Intake Pipe. The K&N 57-5500 FIPK air intake system replaces the restrictive factory air filter and air box. K&N intakes are designed to dramatically reduce intake restriction and improve air flow. This allows your engine to inhale a larger amount of air than the factory air filter assembly. NON-TURBO Engine only. Air Intake Filter:A washable and reusable high-flow performance cone air filter (Red). Other:Mass Air Flow Sensor Adapter will be included for vehicle which is required. Reusable filter provide a more effective filtration and let more air flow in. 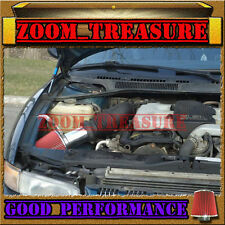 Short Ram Air Intake System for 1995-1999 Eagle Talon 2.0L Non-Turbo. 1 x Intake Pipe (Polished). 1 x Air Intake Filter (Red). High quality, light-weight T-304 aluminium pipe with POLISHED finished. Increases high-speed air flow through engine and fuel efficiency. 1995 - 1999 Mitsubishi eclipse/ Eagle Talon - AEM cold air intake - BRAND NEW! 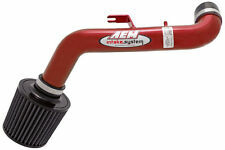 AEM cold air intake for 1995-1999 Mitsubishi Eclipe / Eagle Talon 2.0L 4cyl. Chrysler Concorde, 300M & LHS all models with 2.7L, 3.2L, 3.3L & 3.5L V6 Engine. New High-Flow Air Intake Kit K&N Filter for Since our humble beginnings we have designed and manufactured over 2,400 High-Flow Air Filters to fit most modern passenger vehicles and over 500 High-Flow Air Intake Systems to fit vehicles driven by enthusiast minded drivers. This hose was removed from a 1990 Chrysler Eagle Premier. NON-TURBO Engine only. Other:Mass Air Flow Sensor Adapter will be included for vehicle which is required. Reusable filter provide a more effective filtration and let more air flow in. Enhance more aggressive roaring sound for the engine with more air. Chrysler Concorde, 300M & LHS all models with 2.7L, 3.2L, 3.3L & 3.5L V6 Engine. Dodge Intrepid/Eagle Vision all models with 2.7L, 3.2L, 3.3L & 3.5L V6 Engine. 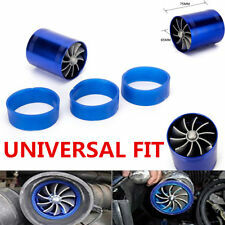 Air Intake Filter:A washable and reusable high-flow performance cone air filter (Blue). (5 ) Mass Air Flow Sensor Adapter will be included for vehicle which is required. Chrysler Concorde, 300M & LHS all models with 2.7L, 3.2L, 3.3L & 3.5L V6 Engine. 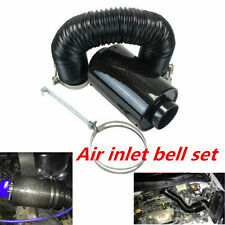 New High-Flow Air Intake Kit for Dodge Intrepid/Eagle Vision all models with 2.7L, 3.2L, 3.3L & 3.5L V6 Engine. 1x 3" 6061-T6 Light Weight Premium Anodized Aluminum Intake Pipe. 1995-1998 Eagle Talon 2.0L. PO BOX, GU, PR HI, AK,APO/FPO. USA 48 States. 1995-1998 Eagle Talon 2.0L. NOTE : All of turbo parts and performance may require slight modification in order to fits perfectly. PO BOX, GU, PR HI, AK,APO/FPO. USA 48 States. 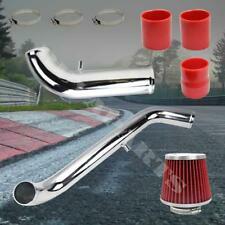 (Our Air Intake kit is Anodized quality, look way better than polished quality! 5 ) Mass Air Flow Sensor Adapter will be included for vehicle which is required. New High-Flow Cold Air Intake Kit K&N Filter for Since our humble beginnings we have designed and manufactured over 2,400 High-Flow Air Filters to fit most modern passenger vehicles and over 500 High-Flow Air Intake Systems to fit vehicles driven by enthusiast minded drivers. 1995-1998 Eagle Talon 2.0L. High quality 2.5" Black Aluminum Piping. PO BOX, GU, PR HI, AK,APO/FPO. USA 48 States. 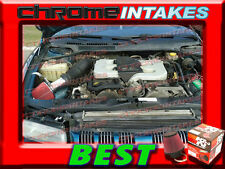 Eagle Talon all models with 2.0 2.0 L I4 Turbo E ngine! The whole installation only takes less than an hour on average. You will improve your engine performance instantly! INTAKES will help you upgrade your car at an affordable price! WARNING : This product can expose you to chemicals including Styrene, which is known to the State of California to cause cancer. Top Material: Zinc. Inner Wire: No. Height: 3.25 in (83 mm). Flanges: None. Performance Electric Fan with Aluminum Shroud Kit by Mishimoto®. Size: 16.3" x 27" x 3.5". Mishimoto has developed an Aluminum Fan Shroud kit that will considerably improve engine cooling functions and the overall performance of the vehicle. BCP Racing Air Intake Induction Kit. 1994-2001 Chrysler LHS All Model with 3.5L V6 Engine Only. 1999-2004 Chrysler 300M All Model with 3.5L V6 Engine Only. 1993-1997 Eagle Vision All Model with 3.3L/3.5L V6 Engine Only.